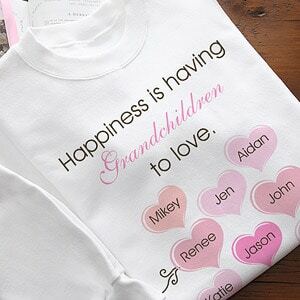 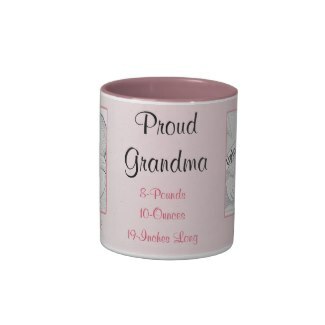 Great way for the New Grandmother to show off her newborn grandchild. 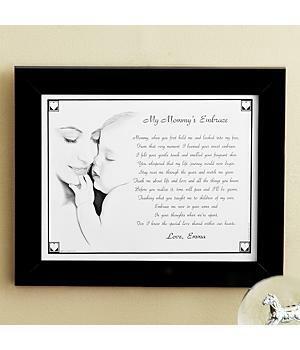 Upload TWO photos of the baby, enter their name, weight and birthday. 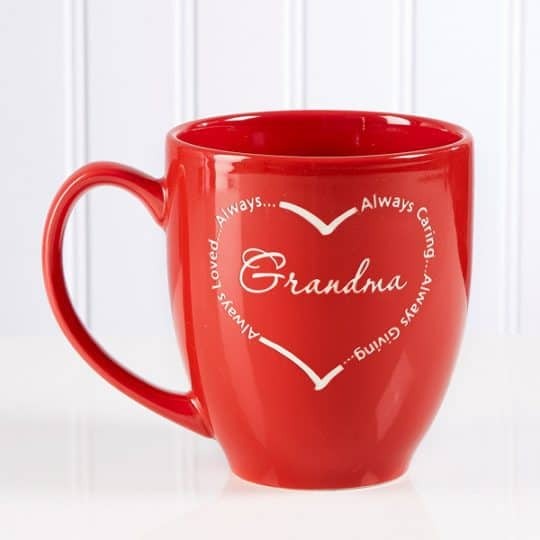 Makes a great gift for the new Grandma! 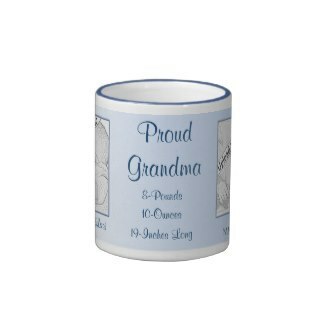 Click here to see the blue mug for baby grandson.